The Symposium will be held 14-16 October 2019 at T.F. Gorbachev Kuzbass State Technical University, Kemerovo, Russian Federation. Post-Doc and PhD students, higher school teachers and researchers of higher educational and academic institutions members, industrial enterprises employees are invited to participate in the conference. Research papers of participants will be considered for publication in “Environment, Energy and Earth Sciences (E3S) Web of Conferences” journal indexed in Scopus and Web of Science. Registration Deadline: 07 September, 2019. Papers submission Deadline: 10 April, 2019. Author Notification Date: 10 June, 2019. 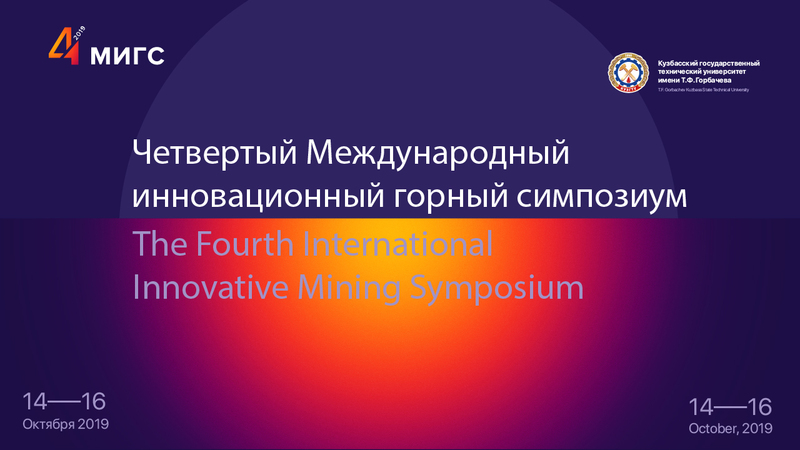 — monitoring of environmental problems in mining regions. — innovative determinants of mining education globalization.